To consolidate the profile of a surface, to increase pace and bounce and to help make a surface safe. In pitch preparation, after irrigation has moved through the profile (24 hours), pressure is applied to the soil with a roller. 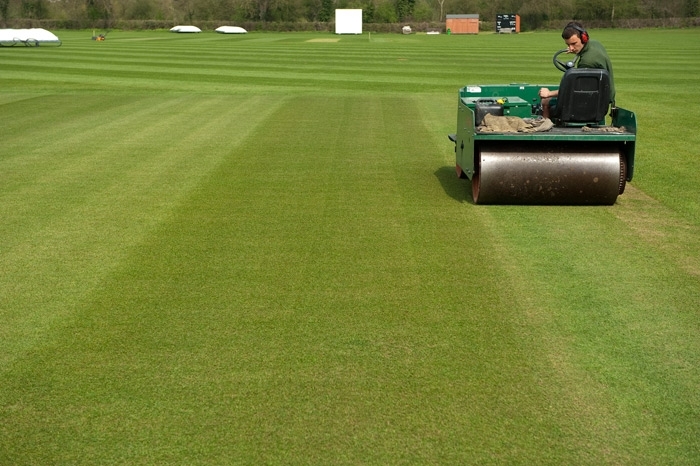 As a guide you need to roll initially after irrigation is applied then in 20 minute blocks during pitch preparation. Rolling with the wrong weight of roller or in the wrong conditions will create a crust on the pitch reducing pace and bounce. A twin or tandem roller of 1 - 1.5 tons in weight is sufficient. NEVER USE A VIBRATING ROLLER, it will destroy the soil. Rolling can only firm soil up to a certain density. Pace and bounce increases as the pitch dries. Rolling does NOT level a surface.